As I was looking for a review of the popular cleansers, I happen to land on the review of one of the unheard cleansers by me CeraVe Foaming Facial Cleanser. 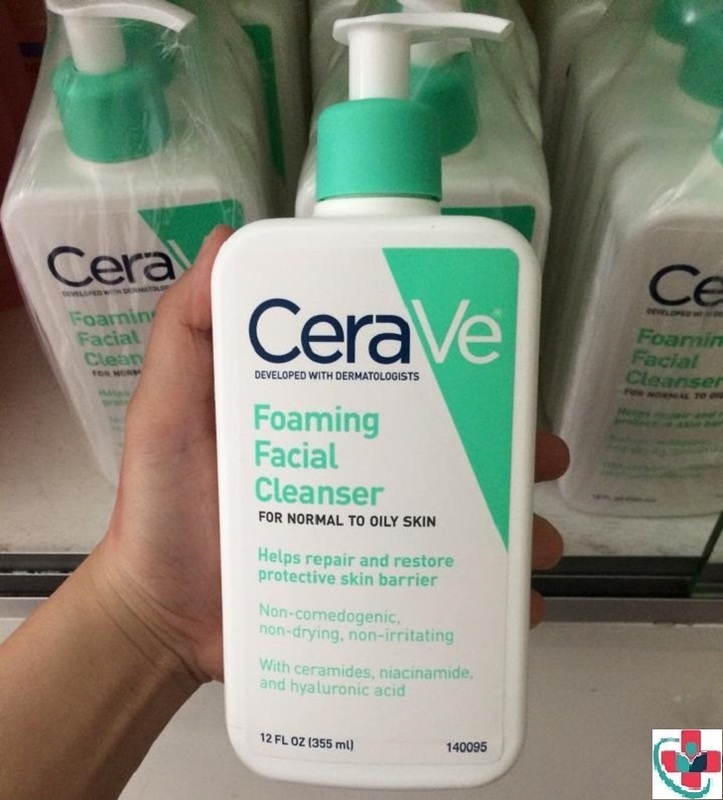 CeraVe Foaming Facial Cleanser is quite a popular cleanser online so after reading the reviews which were somewhat close to what I was looking for i.e. something that makes skin soft, supple and doesn’t dry the skin at all (like other cleansers that I have used in past) I ordered the product. This brand works with Dermatologists to formulate their products. This cleanser is supposed to help restore the skin barrier, maintain its natural protective function, and is formulated with non-comedogenic, non-irritating, non-drying ingredients. Also known as vitamin B3, Niacinamide is a fatty acid that helps restore the skin barrier, improve elasticity, and even skin tone and texture. It also helps the skin retain moisture and is known to help with wrinkles and breakouts. Ceramides are a fatty molecule that has many different benefits for the skin. These include helping repair the skin barrier, retain moisture, reduce fine lines and wrinkles, and help with acne and eczema. This is a great humectant that helps draw and keep water in your skin. A study has even shown that one gram can hold up to six liters of water! What that means for you is plump, moisturized skin, which can minimize fine lines and wrinkles. It also helps repair the skin barrier, which can heal and prevent acne, rosacea, and sun damage. This is a fatty alcohol that is both anti-bacterial and anti-inflammatory. The CosDNA report shows that Carbomer is the only potential irritant with a rating of just one. CeraVe Foaming Facial Cleanser as it says loosens the pores and removes dirt, germs, excess oils, dead skin cells, makeup without drying the skin. The product just does as it says, after using the product the skin feels fresh and not at all dry. It is as well gentle on skin. The good thing is after the use of CeraVe Foaming Facial Cleanser, the skin feels clean and healthy, unlike other products that only make your skin feel lifeless and are harsh on them. Most of the face washes make skin so dry that I always had to apply and re-apply creams to make the skin feel smooth. Another thing that made me buy CeraVe foaming facial cleanser was that it is recommended by dermatologists and one can be sure of no skin allergies after using this product. That means it is good for sensitive skin too with no side effects like skin irritation. It comes in a pump on the top bottle, which makes it easy to use with the right amount every time we pump to take out the cleanser. Pump type bottle avoids wastage and as I have stated in my cons below, it helps us save every penny for the amount we pay. In case, you are looking for a facial cleanser that is really good for your skin, I’ll say go for it without a second thought. It’s very gentle to your skin. In fact, if you have a sensitive skin it’s made for you. It cleans your skin totally from all impurities and yet helps retain its moisture. CeraVe Foaming Facial Cleanser keeps the protective layer of the skin intact and avoids any skin issues due to external factors like environment, weather, and irritants. Since it’s got all those important ingredients we need hence it doesn’t have a consistency like other face washes hence it doesn’t lather all that well. But considering that fact that all the face washes that lather well make our skin dry; I am sure like me you’ll consider something better for skin than something that lathers well. I use it twice a day and at times thrice when I’m stepping out in between the day. It’s simple to use, just wet your skin and massage the cleanser into your skin with gentle and circular motions, no need to rub it hard on skin. Try using it when you are in the shower, the wet skin increases lather. I compliment it with CeraVe facial moisturizer. Though CeraVe products are relatively expensive, the good thing is now I don’t have to buy those day-night cleansers, serums, and creams and yet my skin feels a lot better. CeraVe foaming facial cleanser has made my skin softer, brighter and even toned, clearer and now I don’t feel the need to wear foundation or any makeup. Off-late I have received plenty of compliments for my skin and it really feels great to receive them especially when you are getting into the thirties when skin starts aging. On a scale of 10, I’ll give it a rating of 9. There are a few trusted and popular websites where you can buy the Cerave Foaming Facial Cleanser product including Walmart, Walgreens, and target.